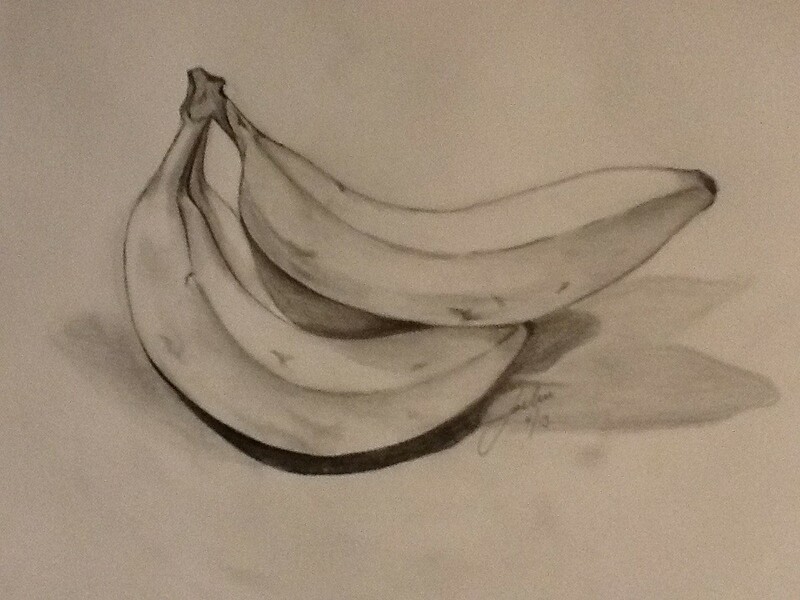 I did a simple pencil drawing tonight. It addresses several issues that I need to work on, one of which is perspective. I don’t know if it’s because I’ve had bad eyesight forever, or my complete and total lack of any mathematical ability. I also need to work on the basics of drawing. But the real truth is that my project was at the bottom of my list of things to do today. I started my day helping to care for a couple of kids who unfortunately have lost their mother. At home we are still dealing with the effects of job issues for my husband. Then my inner Julia Child was feeling neglected so I had to make a focaccia bread pizza with potato, roasted garlic, fresh sage, truffle cheese and crispy pancetta for lunch. Finally there was the play space for my very dear friend’s niece that still needed a little work. In the midst of all of that I had started a watercolor, but I really wasn’t into it. I gave thought to not producing a work of “fine” art today, but then I realized that my finest work is exactly some of what I did today. I mentioned doing craft shows, I’ve done more than my share, but I don’t make crocheted covers for the extra roll of toilet paper, or planes out of old soda cans. A lot of what I do has to do with children. Painted boxes and stools, fairy ornaments and little signs. Everything I do, everything I make has my heart and soul in it. I have been fortunate enough to have created items that will be keepsakes. 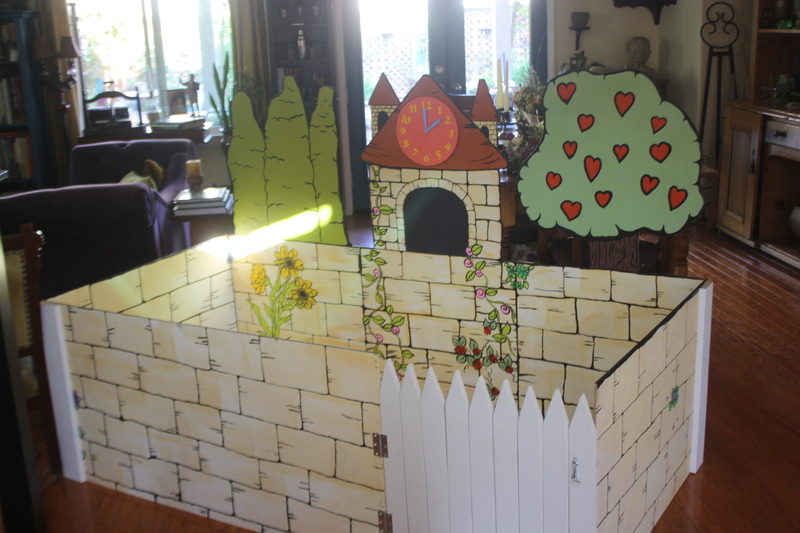 I painted a toy box for a dying grandmother as a gift for her granddaughter’s first birthday. She didn’t live to see the second birthday, but when I painted the box I wrote a poem inside the lid and left a place for the grandmother’s signature. That little girl will never know her grandmother, but she will have that box. I signed it, but only my first name. I have made countless gifts for friends children, and sold more pieces than I can remember that were for a child I didn’t know, and the truth is most of them never met me, or were too young to remember me. I know, and that means more to me than anything. A few years ago a therapist spoke to me about getting published in an art magazine, but I think she realized after a few minutes that it didn’t matter to me, and it doesn’t. I have been known to say that someone else can have my fifteen minutes of fame, I don’t want it. Do I want to do what I consider museum quality art? Sure I do, but my finest art is and always will be the box that holds cherished memories for little child who grew up. So here a few of photos of my “work” for today. Hopefully I will have many more days when I can make a difference in the life of a child.